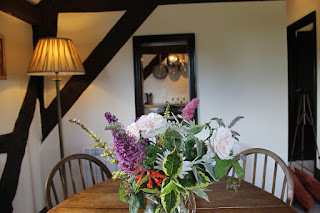 The White House is a grade II listed farmhouse dating from 15th century that retains many of its original features. 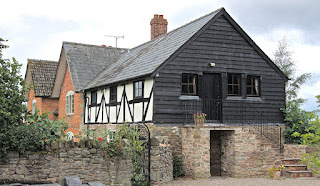 White House at Brinsop, Brinsop, Hereford, Herefordshire (Sleeps 1 - 3). The attached stone and timber framed former cider house has been sensitively converted into two charming holiday cottages that combine traditional architecture with modern, comfortable, self-catering accommodation. There is ample parking for cars and by arrangement caravans and motor homes can be accommodated if you are touring. The cottages can be let separately or together and therefore the accommodation is very flexible; being ideal for individual travellers and couples as well as groups of 5 – 6 persons and extended families. We endeavour to make the stay for all our guests special, appreciating the fact they have chosen to stay with us and pride ourselves on the bespoke service we are able to offer as resident hosts.